I’m getting a lot closer to a full set of UPC variants. 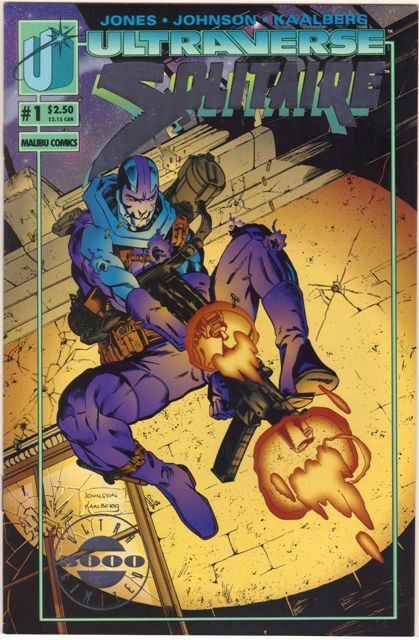 Apart from the Firearm Ultra 5000 book, that is all I need to complete a full set of All Things Ultraverse. I think it is, anyway. I’ve seen a bunch of the UPCs I need on eBay but I just don’t want to pay more than $3 or $4 shipped so I’m just being patient. When I’m down to my last couple I’ll probably pay more. Anyway, here are the first 10 Sludge books (still not sure if 11 and 12 have a UPC variant) and the Exiles. 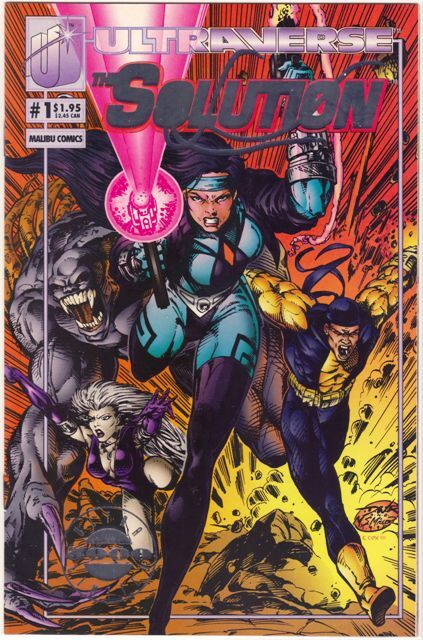 Aaron Lopresti was just getting started as a comic book artist when he was hired by Malibu. 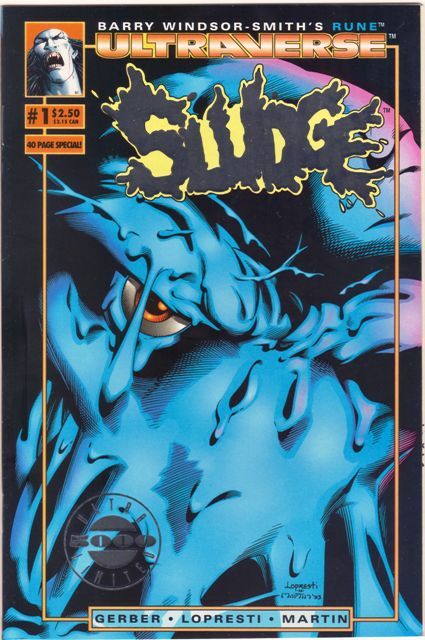 Sludge was one of the quirkier titles in the Ultraverse, but his illustrations brought the character to life and made it one of my favorite books to read (Confession time: I met him at a convention in Tampa back in the early 1990s and he signed a few books and cards for me). He’s still working in the field; you can keep up with him on his web site. How did you land the job drawing Sludge? 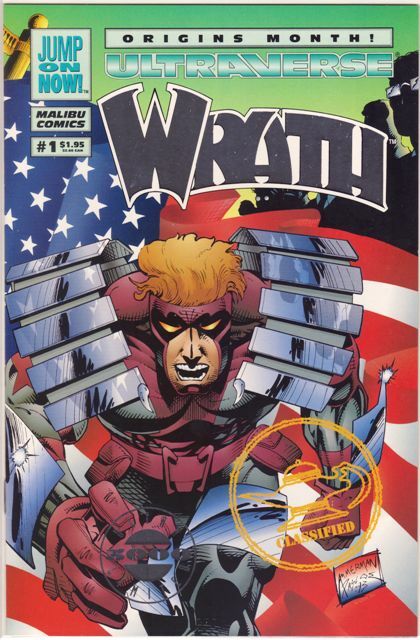 I was approached by Dave Olbrich and Tom Mason at Dragon Con waaaaay back in 1992. I had just started my career at Marvel and only had a few Spider-Man backup stories to my credit. Dave and Tom were very cryptic about their big plans for the next year but I told them to call me when things got going. 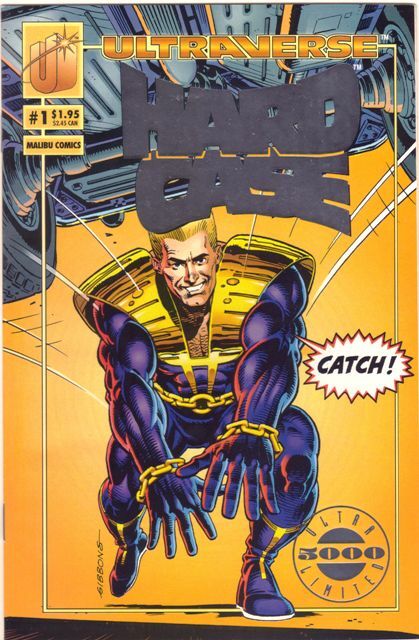 Dave did call me and offered me a book in Malibu’s new Ultraverse line. 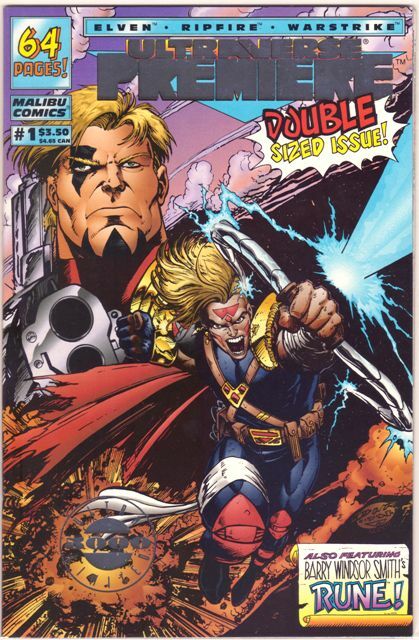 They offered me Hardcase and almost double what I was making at Marvel (which wasn’t much), so I accepted. Later that year, I was attending Fred Greenberg’s N.Y. Comic Con and met up with the rest of the Malibu crew. I got to look over all of the titles they were planning on releasing and when I saw Kevin Nowlan’s design for Sludge, I knew I had to do it. I dropped Hardcase and became the artist on Sludge. Were there problems with drawing such an inhuman character? Nothing! For me drawing monsters is easier than drawing people. With a monster you can mess with the anatomy and pretty much do what you want because there are no real guidelines. The trick to drawing a monster, whether it is Sludge or the Hulk, is to be able to make it look cool. It is harder for some than others. It just depends on what you like to draw. 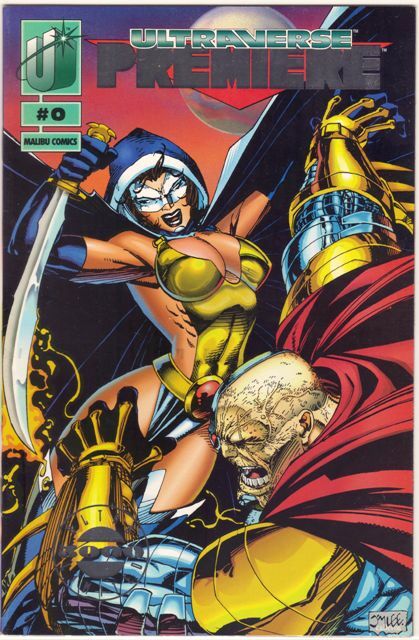 Do you have a favorite memory from working on the Ultraverse books? I have many great memories. It was a very fun experience all the way around. I enjoyed working with everyone on the staff and was made to feel very important to the process even though I was really just a novice. I am still friends with just about all of the editors and higher-up staff, so that says a lot about the working atmosphere at Malibu. 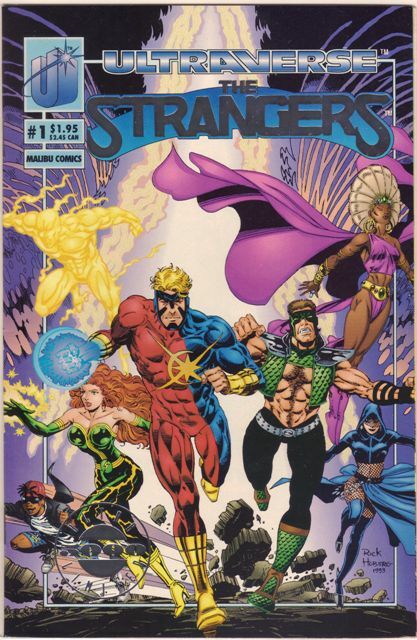 I got my first chance to write serious comics because of Steve Gerber’s tardiness with some scripts and I did my first professional looking comic art there. 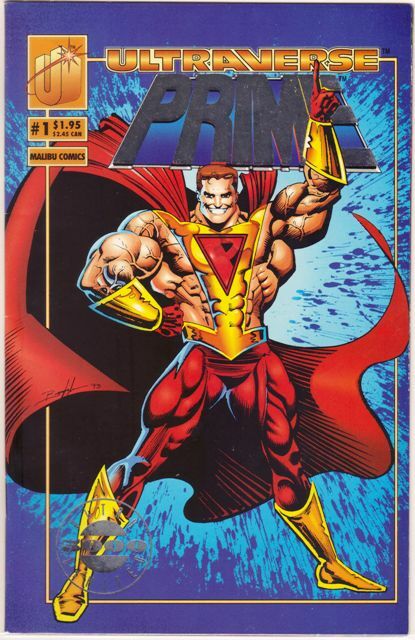 The big Malibu Ultraverse launch news conference was a pretty significant and memorable event. Also, going to all of the major conventions and hanging out with the crew. Good times. Did you keep any cool collectibles from that time? I have a bunch of Sludge No. 1’s with the limited edition silver ink logo. I also have copies of the promotional pamphlets and booklets that they produced. The big thing I wanted was a Sludge action figure. Unfortunately, they never got past the prototype (pardon the pun) stage. I got to see both the Sludge and Lord Pumpkin prototypes but because they were scheduled as the second wave of toys they were never produced before Malibu went under. I am writing and drawing a feature called Garbage Man for DC Comics that appears in the new Weird World mini-series and the upcoming My Greatest Adventure mini-series. It is very “Sludge-centric” so fans should check it out. I am also the regular penciler on the new Justice League International series for DC Comics which comes out in September. A friend of mine game me this a while back. I don’t think it’s worth much but it is pretty interesting (if you’re into this sort of geeky stuff, of course). It’s a compilation book with art from American comics and the text translated into Italian. 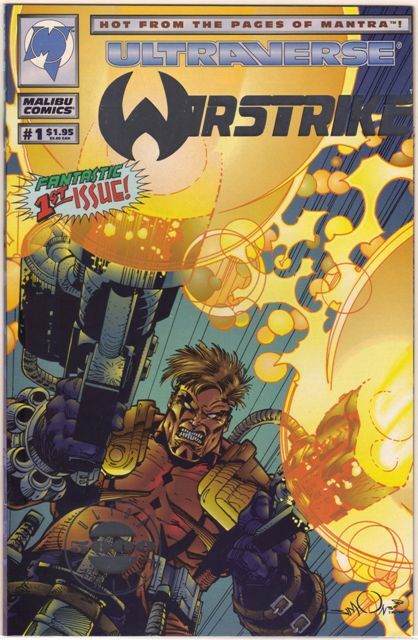 There are three comics inside: A Break-Thru story, a Sludge story and for some reason a Next Men story. 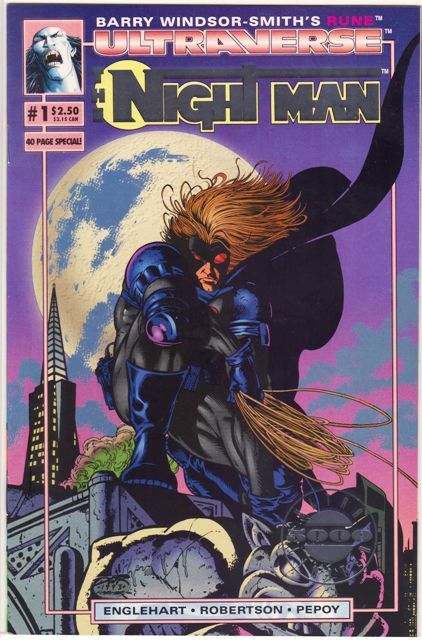 Roland Mann is another one of the guys who was there from the beginning of the Ultraverse. A man of the South, he’s back in that part of the country, writing and mentoring writers. He was nice enough to discuss how he got started with Malibu, an unpublished Steve Gerber Sludge story (!) and his continuing education and career path. How did you find your way from Southern Miss to California to work for Malibu? I had been freelancing for Malibu beginning in 1989. In fact, I was not only writing various series and mini-series (like Cat & Mouse and Miss Fury), but I was packaging some of the incredible talent that was hidden in the southern Mississippi area, books like The Mantus Files with horror novelist Sid Williams, who is from Louisiana. 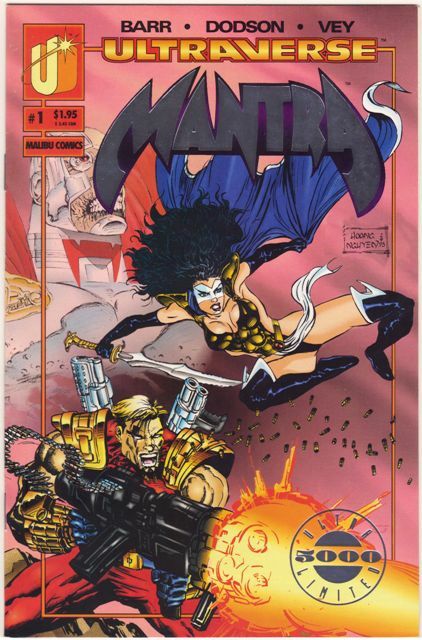 Anyway, I met Chris Ulm, the editor in chief for Malibu in 1992 at DragonCon and he told me that they were ABOUT to have to cut back on work for me. When I asked why, he said they planned to build an in-house staff. Seeing as to how I was having a great time working in comics and I hated to see the bulk of my work go away (I didn’t only work for Malibu, but I got about 75 percent of my freelance work from them at the time), I asked if they’d consider hiring me. Ulm suggested he didn’t think I’d ever leave my beloved Southland … but two weeks later, he called and offered me an editor position. After some discussion with my wife–who was on the final leg of her Masters Program at the time–we decided it was a good move for us. I moved out in November of 1992 and took over the entire Genesis Line of comics (Protectors, Dinosaurs for Hire, Ex-Mutants, etc). You were at Southern Miss about the same time as Brett Favre … did you ever see him around campus? Actually, yes. But it wasn’t around campus. Brett’s door opened to the door of one of my very good friends at the time, Tony Fortenberry (brother of Thomas, writer of the first SilverStorm mini-series). I’d often visit Tony for writers group meetings, playing board games, or just hanging out. It wasn’t unusual that Brett was there. I remember watching him play as a freshman and being VERY impressed with his arm! What were your responsibilities at Malibu? Most folks know about my editing duties. 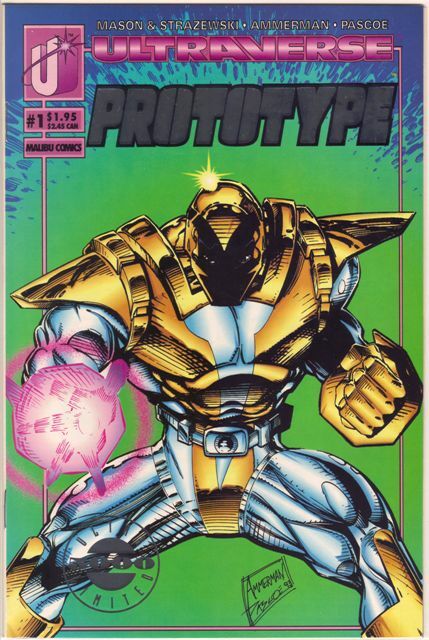 I went from Protectors to Ultraverse as editor. After I made the move to UV, I edited about half the line, with Hank Kanalz editing the other half. Another thing I did at Malibu that I’m pretty proud of is started and ran an intern program. I can’t remember if the idea originated with me or, if not me, it was likely Ulm. We needed help making copies, filing and that sort of thing. As my wife has been in Higher Ed for her entire life, she suggested the intern program. So, I interviewed and hired all the interns at Malibu until the Marvelcution (and I honestly don’t know if any more were hired after that). SOME of those became Editorial Assistants and then Assistant Editors. Thus, some of them were pretty sharp folks! 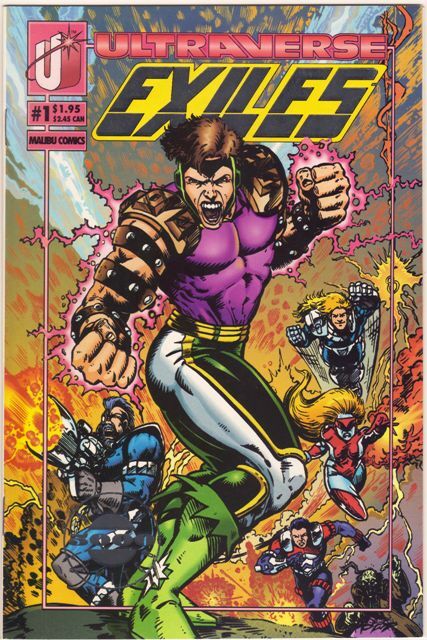 After Marvel bought the company I was promoted to Managing Editor–which really meant that I just helped Ulm with paperwork. They had to change some titles to try to stay in line with Marvel. 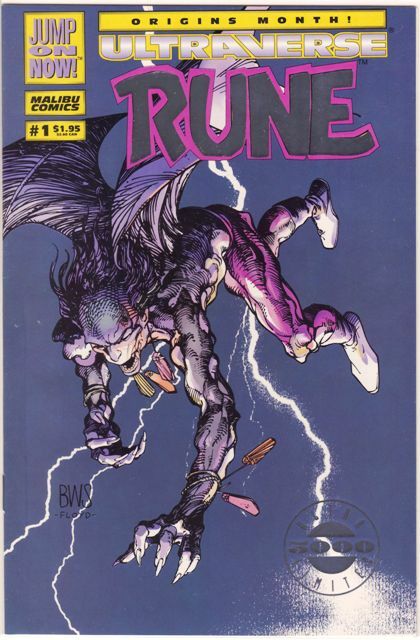 After Ulm, Tom Mason and Dan Danko left the company, I was Senior Editor (although Marvel chose to keep a non-UV editor to “finish” off the line–something I always found very interesting). For a while, I also “trafficked” the art department. NOT the coloring department, but actual art and lettering, corrections and that sort of thing. But after the company got really big, it went to someone else. 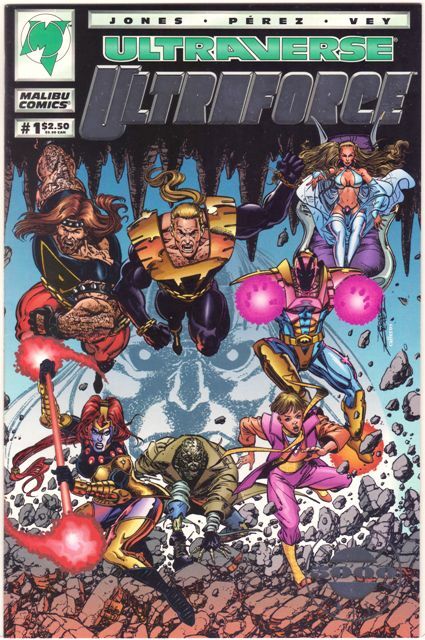 Do you have a favorite memory from working on the Ultraverse? 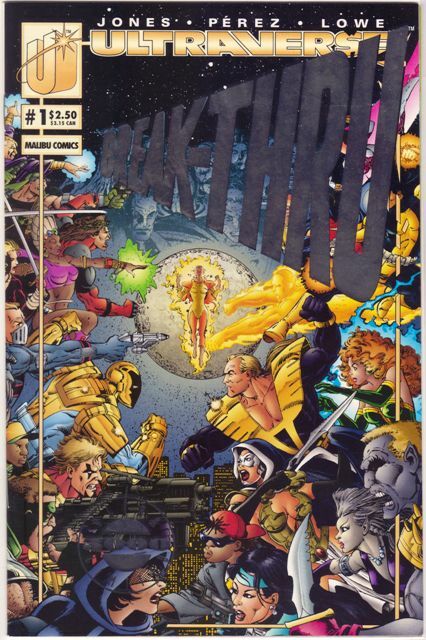 It isn’t so much an “Ultraverse” memory as a Malibu memory … Y’know, this might sound hokey, but one of my favorite memories is the weekly editorial meetings we used to have. Once a week, the editors would get out of the office (in the day before cellphones) and have an editorial meeting with Chris Ulm. That’s when I really got to know the other editors. Truthfully, though, Malibu was a very fun place to work. The atmosphere was generally really pretty good (post Marvel it began to change, but it wasn’t as IMMEDIATE as many seem to think). With UV, I got to work with a few creators whose work I’d enjoyed for years. I even got to have about a two hour lunch with Stan Lee himself! 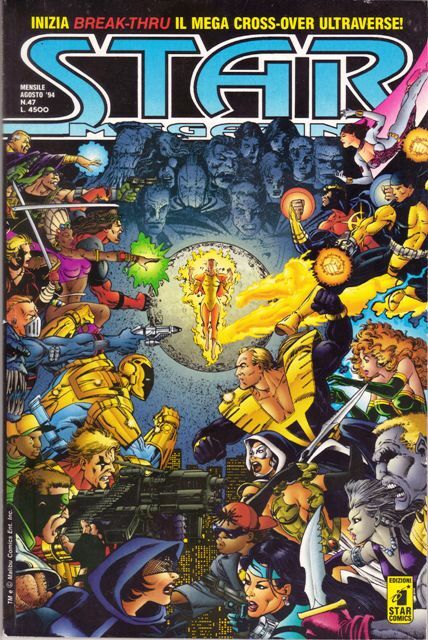 What is your favorite Ultraverse-related project that you worked on? Boy, THAT’s not a loaded question, is it? I think Steve Gerber is one of the unsung great storytellers in comics and with the UV. Two of my favorite projects were Gerber Sludge books. 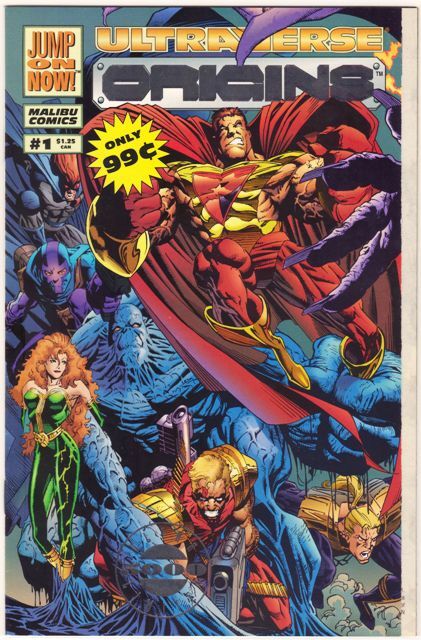 The first was Sludge: Red X-Mas with art by Mike Ploog, and the second was an unpublished Gerber story that had pencils by Mitch Byrd. What happened to that unpublished Gerber Sludge book? I wish I could answer with any authority, but I can’t. WHILE I was still employed, I held on to the hope that it would see publication. Once my employment was … ahem … discontinued … well. I DO know this: I saw some of Mitch Byrd’s art FROM that book show up on eBay a few years back. So–and I’m guessing–I think what happened is that those in charge the final days just sent all the artwork back to Mitch when they were returning art. Mitch held on to it a while…then decided to try to recoup some $. But that is PURELY a guess (a logical and educated one, but a guess nonetheless). Do you have a favorite souvenir or collectible that you kept all these years? 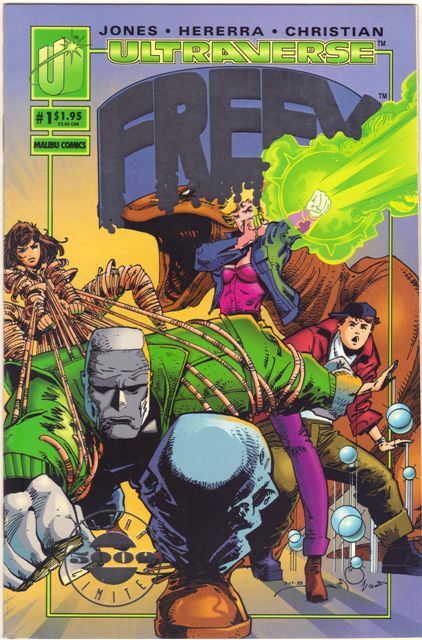 I have a framed George Perez Chromium cover to Genesis #0. It was framed by the printer. It’s funny, I had a LOT of stuff for a while. But, as anyone who’s moved a few times can attest, moving STUFF is a pain … so I slowly got rid of most of my “collectible” stuff. The biggest thing I think I still have is my “editorial copies” of the entire line of UV books. Me, Hank, Dan Danko and Chris Ulm used to have 3 ring binders of each UV title. Each time a new issue was released, one of the interns would take copies, punch them, and add them to our binders. They were on a shelf above my desk and I could have quick reference to any UV issue. I still have those, though the binders are long gone. I just completed my MFA in Writing (which is like a poor man’s PhD…it’s a “terminal” degree without all the fluff) and hope to get back into the classroom. I taught English at the University/College level for several years before being downsized (thanks to 9/11). I speak at writers conferences here in the Southern region and lead writer workshops/retreats (such at the Hemingway-Pfeiffer Annual Writers Retreat) where I mentor writers. I’ve also just completed a superhero novel titled THE INTERNS. My agent is confident she can sell it–so I’m confident with her! I also blog regularly at: http://www.rolandmann.me.